Investigators at Purdue University Center for Cancer Research recently published data on a new liquid biopsy approach that identifies a series of proteins in blood plasma that, when elevated, signify that the patient has cancer. The new study, which was published recently in Proceedings of the National Academy of Sciences in an article entitled “Phosphoproteins in Extracellular Vesicles as Candidate Markers for Breast Cancer,” relies on the analysis of microvesicles and exosomes in blood plasma. Moreover, while the current work was done with samples from breast cancer patients, the scientists believe it’s possible the method could work for any cancer and other types of diseases. Protein phosphorylation, the addition of a phosphate group to a protein, can lead to cancer cell formation, and phosphoproteins have been a prime candidate as cancer biomarkers. Until now, however, scientists weren't sure identification of phosphoproteins in blood was possible because the liver releases phosphatase enzymes into the bloodstream that dephosphorylate proteins. Dr. Tao and his colleagues found nearly 2400 phosphoproteins in a blood sample and identified 144 that were significantly elevated in cancer patients. The study compared 1-mL blood samples from 30 breast cancer patients with six healthy controls. The investigators used high-speed centrifugation to isolate microvesicles and exosomes from the collected blood samples. These particles, which are released from cells and enter the bloodstream, play a role in intercellular communication and are thought to be involved in metastasis—spreading cancer from one area to another within the body. Additionally, microvesicles and exosomes encapsulate phosphoproteins, which Dr. Tao and his colleagues were able to identify using mass spectrometry. 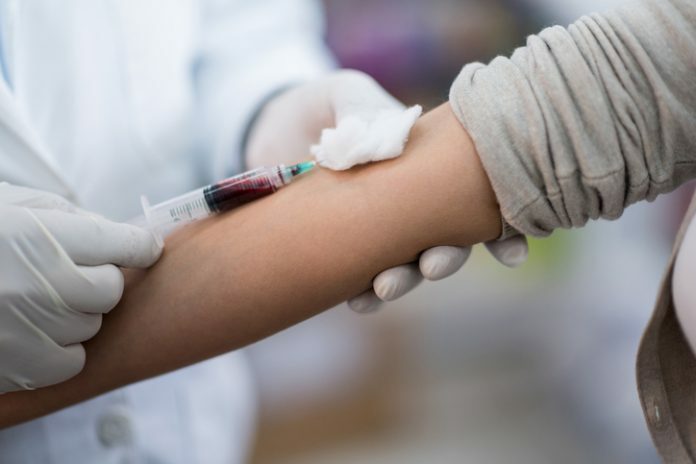 A simple blood test for cancer would be far less invasive than scopes or biopsies that remove tissue—the foundational basis for liquid biopsies. A doctor could also regularly test a cancer patient's blood to understand the effectiveness of treatment and monitor patients after treatment to see if the cancer is returning.